nine days after our wedding, rcg started out on a new adventure to find his calling. 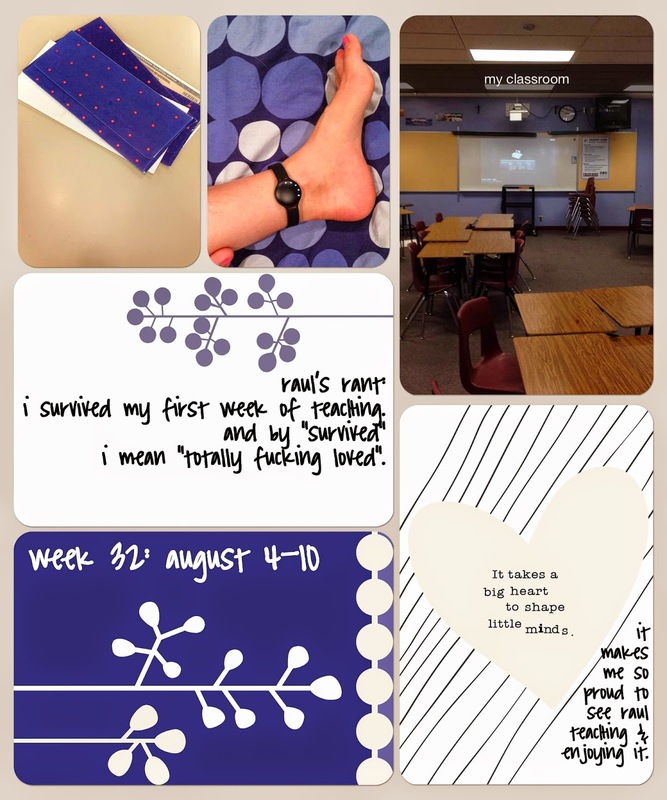 for three months, he took education classes and prepared for the day he would reinvent himself as a high school teacher: he learned all the jargon, prepped lessons, and picked out his first day of school outfit (which was adorable and professional, obviously). and he totally rocked it. his teachers at UA expected this and i expected this, but i'm not sure how much he expected it. because, if we're being honest, finding your calling is hard work; it takes time and perseverance,and it's often daunting and disheartening. but after years of searching, i think he's found it: he's meant to be a high school teacher. i'm so proud of him. he took a chance on something and has been incredibly successful, not that i'm surprised. he's a constant inspiration.